1.Print the free template and draw around it onto a sheet of Dovecraft A4 White Cardstock, then cut out. TIP: If your printer takes card, print your template straight onto your cardstock to save time. 2. 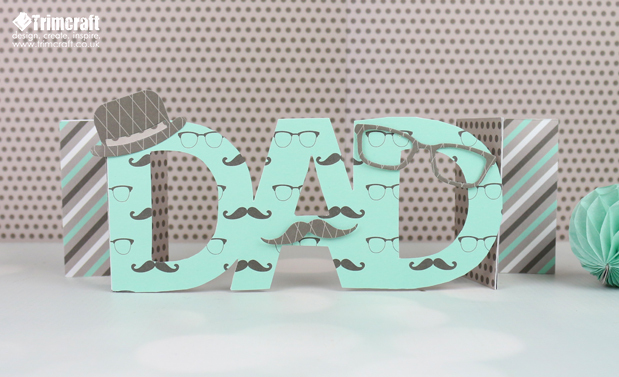 For the ‘DAD’ section, we have used the moustache and glasses paper from the Simply Creative My Guy 12x12 paper pad. Take that sheet and glue it over the main section of your card. Flip your card over on your crafting mat and using a craft knife, carefully cut around the letters to ensure you have no excess paper. 3. Cut 4 identical pieces of dotty and striped paper from the Simply Creative My Guy paper pad, to fit the side panels. Adhere the stripy paper to the outer panels and the dotty paper to the inside panels. Repeat this design on the back of your card. 4.Die cut the hat, moustache and glasses from the First Edition Vintage Gentleman die set. With 3D foam pads, adhere the top hat to the top of the ‘D’, the moustache in the middle of the ‘A’ and the glasses to the top of the last ‘D’ to add interest. There you have it! A classy card that will really show you care. 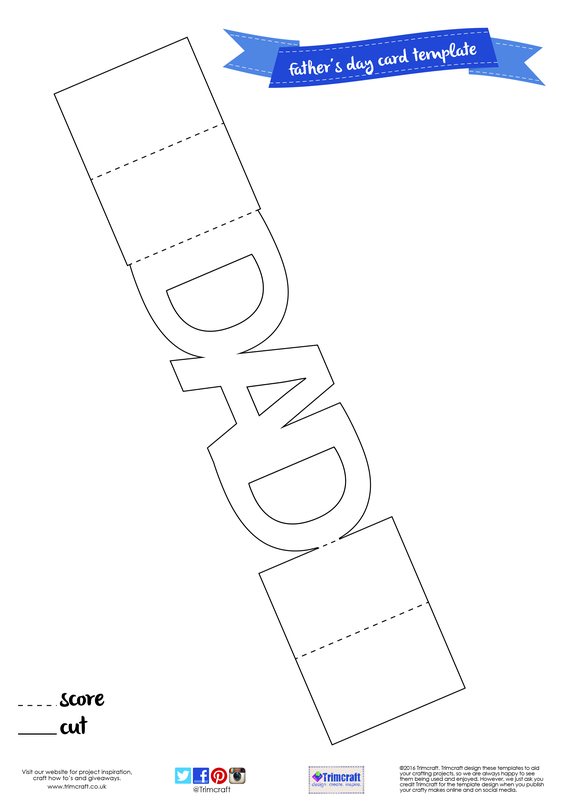 We have so many paper designs within our pads that will be perfect for Father’s day so have a nosey and see what will be perfect for your dad! We’d love to see your versions, so make sure to upload to the Inspiration area and to #Trimcraft on your brilliant crafts!